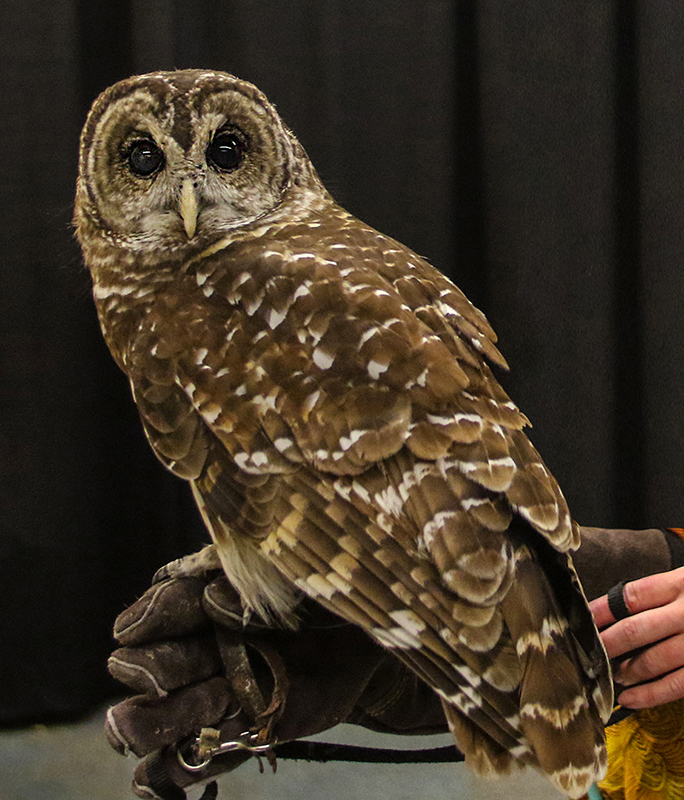 Meet Dinah, our Ambassador Barred Owl. Ambassador Dinah has been with us since 2000. She was hit by a car in Elizabeth City, NC and sustained a major wing injury. In addition to regular appearances at schools and special functions, Dinah provides a valuable service at the shelter as a foster mother for admitted orphaned baby barred owls. Her fostering skills prevent young owlettes from imprinting on humans, enhancing their chance of survival when returned to the wild. Meet Nigel, our Ambassador Screech Owl. Ambassador Nigel is a gray screech owl who became a resident about 3 years ago. He is comfortable in public and enjoys making regular appearances at schools and special functions. Meet Zelda, our Ambassador Black Vulture. Ambassador Zelda is a black vulture and a resident of the Outer Banks Wildlife Shelter. Her enclosure mate is Zena and together they get into quite a bit of mischief. They look forward to seeing onsite tour groups so they can show off a little. Meet Xena, our ambassador Turkey Vulture. Ambassador Xena is a turkey vulture who became a resident of the Outer Banks Wildlife Shelter before Zelda. She was very happy when Zelda came along and together they get into quite a bit of mischief. They look forward to seeing onsite tour groups so they can show off a little. Meet Blanco, our Ambassador Leuscistic Rat Snake. Ambassador Blanco is a Leuscistic Rat Snake and a near 10 year resident of the Outer Banks Wildlife Shelter. Blanco was discovered by a group of Marines during a field operation. Fearing for the snakes safety due to its lack of camouflage, one of the Marines put her in his pocket and delivered her to the shelter. Unlike an albino which has pink eyes, a leuscistic animal has regular eye coloring but lacks normal pigmentation. Blanco enjoys onsite tour groups so he can show off her uniqueness.